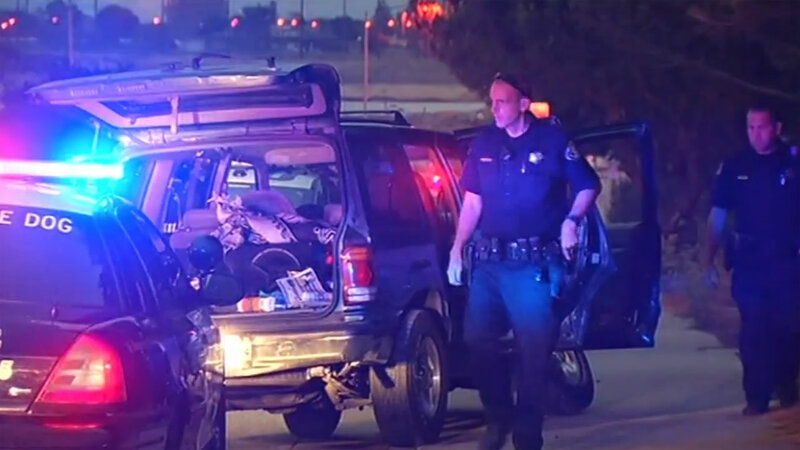 SAN JOSE, Calif. (KGO) -- Milpitas police are looking for a suspected thief who led them on a chase Monday morning. It ended when he bailed out of a Ford Explorer at North First St. and Highway 237 in San Jose. It started several blocks away, when police started chasing him after getting a call about a restaurant being broken into near West Calaveras Boulevard and North Abel Street. At one point, the chase hit speeds of 90 miles per hour and an officer had to jump out of the way to avoid being run over.